Sorry... the 2017 Volvo S60 is no longer being sold as new. 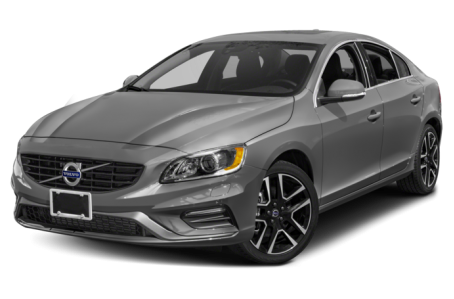 Instead, take the first step to a great deal on 2019 Volvo S60 with a free price quote! The Volvo S60 is a five-seat luxury sedan that goes toe-to-toe with the BMW 3 Series, Audi A4 and Mercedes-Benz C-Class. It's available with front- or all-wheel drive and a choice of four-cylinder engines, one of which features a supercharger and a turbocharger. Volvo also sells a long-wheelbase version of the S60 dubbed Inscription and an off-road-themed S60 Cross Country. Volvo has simplified the S60's engine lineup, reducing the number of available engines to two. There's also a new entry-level Dynamic trim that includes leather sport seats, a moonroof, xenon high-intensity-discharge headlights, headlight washers, 18-inch alloy wheels, and R-Design front and rear styling cues. Volvo, which is owned by Chinese auto manufacturer Zhejiang Geely, was the first luxury brand to export a car from China to the U.S. with the Inscription, which is an S60 with a stretched wheelbase for an additional 2.9 inches of rear legroom. The Inscription is also more luxurious and is offered with front- or all-wheel drive. The S60 Cross Country uses the same basic playbook as Volvo's other Cross Country models but in a sedan format: standard all-wheel drive, a raised suspension and SUV-like styling cues. It's powered by a 240-hp, turbocharged 2.0-liter four-cylinder engine. 15 of 16 (93%) consumers said they would recommend this vehicle to a friend.